From customers to drivers to the back office and more, simplify, unify and amplify your entire supply chain ecosystem with the powerful innovations of Omnitracs One. Modern commercial transportation is a challenge, with high-stakes consequences that require companies to balance service quality, stability, and profitability while managing near-constant change. Increasingly, logistics companies are relying on technology innovation to help them address today’s demands and prepare for tomorrow’s opportunities. As the leader in commercial logistics technology for over 30 years, Omnitracs set out to find a better way. For our customers, adapt, thrive, and grow meant we had to rethink the way fleets are managed at a fundamental level. 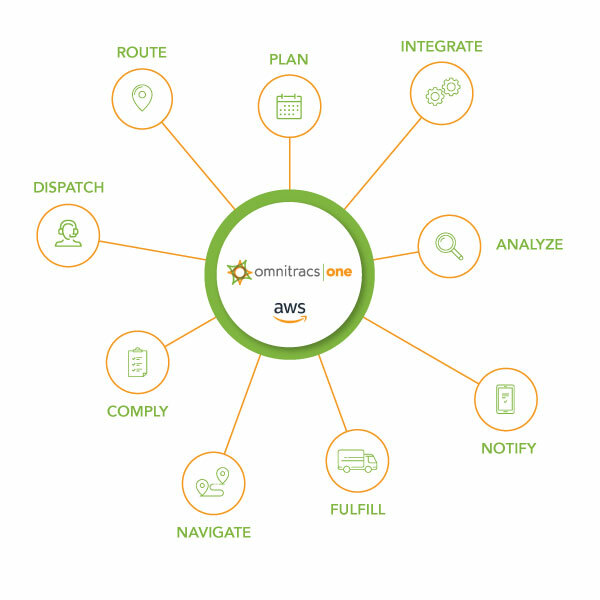 See how Omnitracs is revolutionizing the way fleets and businesses are managed with Omnitracs One. Create better engagements with streamlined monitoring and management to maximize every driver, customer, and back-office touchpoint. A unified environment connects and manages your teams and technology to provide an enriched management experience and improved reporting insights. Quick access to a wider range of best-in-class solutions than ever before to adapt faster, maximize returns and unlock new potential. Experience the next-gen levels of performance of a cloud-based mobile solution and turn your fleet management technology into a competitive advantage for today and in the future.